We’re giving the beauty industry a cruelty-free makeover with a wave of animal testing bans supported by hundreds of companies and millions of caring consumers worldwide. Today in four out of every five countries, it’s still legal to use rabbits and other animals in cruel toxicity tests of cosmetic products and their ingredients. In China, it’s actually a legal requirement for many types of cosmetics. Yet the global wave of animal testing bans led by HSI and supported by hundreds of companies and millions of caring consumers marks the beginning of the end of this cruelty. Cosmetic animal tests are archaic chemical-poisoning experiments devised more than half a century ago, such as rodent “lethal dose” tests (1920s), rabbit eye and skin irritation tests (1940s) and guinea pig skin allergy tests (1950s). Modern non-animal methods are available for the most cosmetic safety issues, and have been shown to better predict human responses in the real-world than the animal tests they replace. Cruelty-free brands like LUSH and H&M create innovative new products safely by relying on modern non-animal tests in combination with existing ingredients with established histories of safe use. 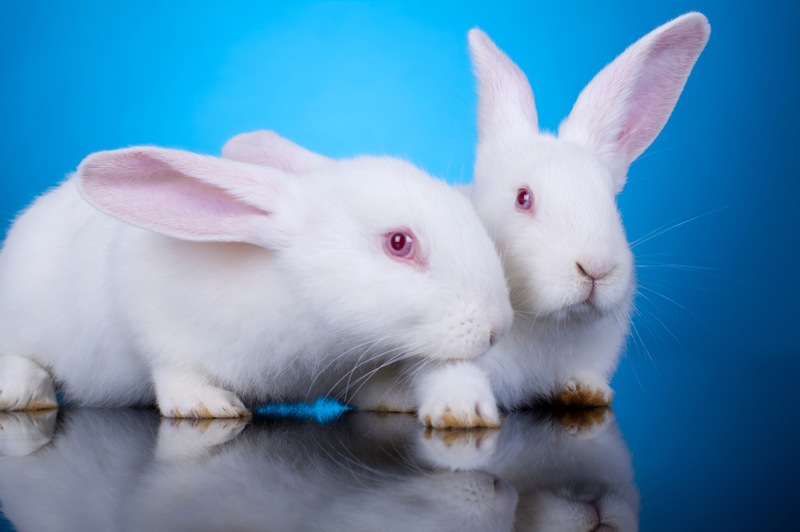 HSI is working to ban cosmetic animal testing in the world’s largest and most influential beauty markets, as well as the sale of cosmetic products or ingredients that have been newly animal-tested in any other part of the world. Our campaign was instrumental in driving the European Union to become the world’s largest cruelty-free cosmetic market, and in securing subsequent bans in India, Taiwan, New Zealand, Norway, South Korea, Switzerland, Guatemala, and in seven states in Brazil. Bans are just the beginning; HSI is also supporting training in developing countries to help companies and government authorities transition to modern non-animal methods. Speak out if you believe that animals shouldn't suffer and die to test cosmetics or their ingredients. 1. Shop cruelty-free at leapingbunny.org and mybeautybunny.org. 2. You can also get more information on cruelty-free shopping at Logical Harmony. Help animals around the world who are suffering in labs and other cruel situations.